A works outing on a Thursday night in mid October was my reason for visiting this ex Wetherspoon's pub near Chalk Farm station. My only previous ever visit was in the early 2000's when this was a 'spoons. I am unsure when this pub changed into private hands but it doesn't retain much of the previous incarnation with the pub being a music venue with 3 bands playing the night I visited. On arrival at 6.30pm the pub was filling up nicely and by 8pm was pretty packed this included the group of 20 I was in. We reserved a couple of booths and ordered food. Most went for the burger and chips option including myself, it was decent & not too filling. The only cask ale was Doom Bar which I didn’t fancy so I opted to drink Greene King East Coast IPA on keg. Every pint was good so the lines are obviously clean in this pub. The pool table provided good entertainment for an hour or so and then my group got into the music when the bands started at 9pm. Small garden to the rear acts also as a smoking area and the addition of heaters helped as it was getting a bit chilly outside. We stayed all the way to closing and I personally thoroughly enjoyed my time here, maybe I’ll visit again next year when I’m working in the area. When the Metal Works band got moved here for their Sunday night gig, that was when I discovered this place, and I am glad I did. 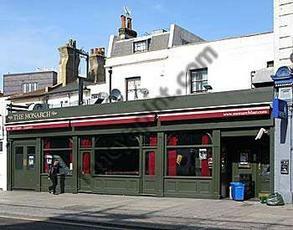 It is a big pub and has an ideal layout for gigs; with a stage, balcony and plenty of floor space. 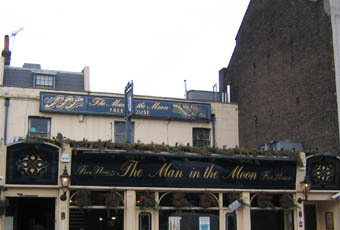 It is also a nice pub during the day, although it is rare that I venture that far from Camden station on a crawl, unless the Metal Works band are there to tempt me there. Lazy, I know. When there's no band on, this is a typical old Camden pub, great for a pit-stop. I tend to have cider in here so can't comment on the ale or if there is any. Nice little yard out the back with a few tables and a lot of ivy. No idea why it's rated 5.0 at time of writing, it's a perfectly decent place and has a lot more character than some of the posher Camden pubs nearby (Dickensian, it styles itself - not a bad effort at it too). Not necessarily somewhere to spend all evening, though I can attest that their sporadic Friday night indie thing is excellent (and free). only been here once met some friends to see a certain band.nice pub nice band.beer lager pub.no complaints only i saw a man run over by a bus outside god bless ! Popped in here before going to see a band down the road. The band were running late so came back to kill an hour. Lot's of room out the back and very comfortable. They were starting a quiz when we left and had posters up advertising all sorts of other events. It seems more interesting than most pubs around here and caters for a variety of customers, not just the Camden set every other pub aim for. Will definitely go back when in the area.